Turn Your Tragedy into a Treasure... A Treasure Map to Happiness! 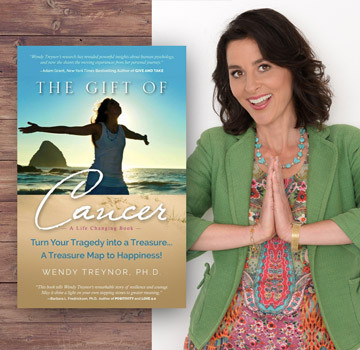 Cancer sent Dr. Wendy Treynor on a journey of self-discovery. Through the healing process, Wendy received deep insight into a universal cause of human suffering and its cure. 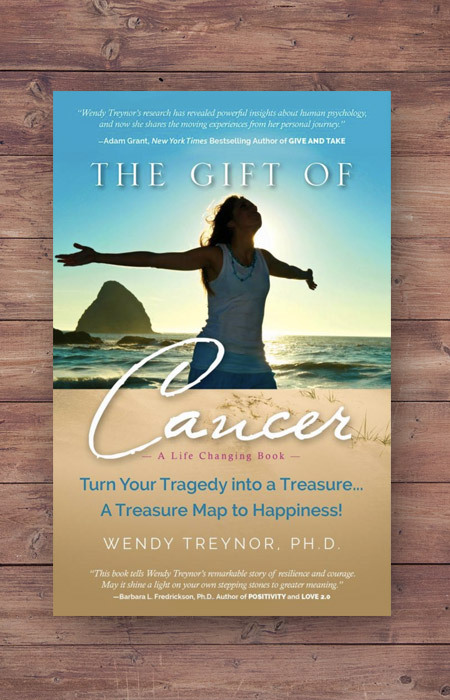 The gift in her cancer experience was a treasure map to lasting happiness. Join Wendy as she shares how cancer and adversity can be used as a tool for radical change and personal transformation. Discover a fresh approach for self-love to help overcome depression and oppression to live vibrantly! “What you are about to read has been proven to increase love of life when heard and make people significantly happier. This life-changing book, with 120+ color illustrations, 15+ journal entries, and 193 inspiring, life lessons, is in a class of its own. Wendy warns: “Read it at your own risk. You want to be happy? Then follow me!” as she communicates a little-known secret—a universal cause of human suffering and its cure—that offers breakthrough understanding to help you heal yourself and our world. “Wendy Treynor had endured a lifetime of rejection. Why were some people so mean? What could be done about it? Going to graduate school to find out, she launched a quest to heal herself and others, but it later fell apart. Soon after earning her Ph.D., Treynor suddenly lost her career, money, health insurance and identity. She was so miserable she dreamed of getting cancer so she could make an easy exist from this world. · Get your life back on track: Release the past, move forward! · Reduce or end despair, sadness, anger, fear, shame, or depression! · Remember who you are: Feel your freedom and reclaim your happiness! · Begin to see the possibilities! · Dream big and envision a rich, meaningful, happy life! ·Gain confidence and feel inspired to achieve your dreams! · Create a life you love! · Get all the tools you need to heal yourself emotionally in one place—this book! CBS-TV, Psychology Today, and Success magazine’s happiness expert and social influence expert, Dr. Wendy Treynor is a leader in bridging psychology and spirituality, science and spirit, in her I CAN HEAL® programs and books. She is a next-generation-teacher-gone-global, author, speaker, coach, healer and scholar. She resides in Southern California, where she is founder and director of Healing Consulting. Her website is: ICanHeal.com, where you can join the I CAN HEAL® Movement!